Arthur Kiyan became an associate partner in Lavrynovych & Partners. Starting from 1 January 2018 Arthur Kiyan was appointed as associate partner in Lavrynovych & Partners. Arthur Kiyan is a graduate of the National University of the State Tax Service of Ukraine, Master of Laws. Lawyer and member of the Committee on Mediation of the National Bar Association of Ukraine. 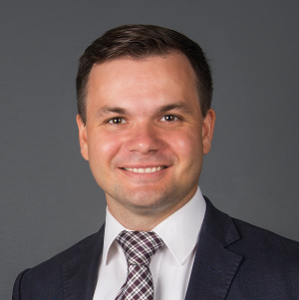 Arthur joined Lavrynovych & Partners Law Firm in 2009 and successfully completed all career steps from a lawyer to a partner. During 9 years of effective work he demonstrated a high professional level and made every effort to successfully accompany the firm’s projects. Mr.Kiyan specializes in matters of commercial and corporate law, mergers and acquisitions, protection of business owners and their assets from prosecution in criminal proceedings, acquisition of real estate, debt collection and is an expert in the field of bankruptcy. A significant part of his practice is a complex solution of litigation and international arbitration, where he represents the interests of Ukrainian and foreign clients.